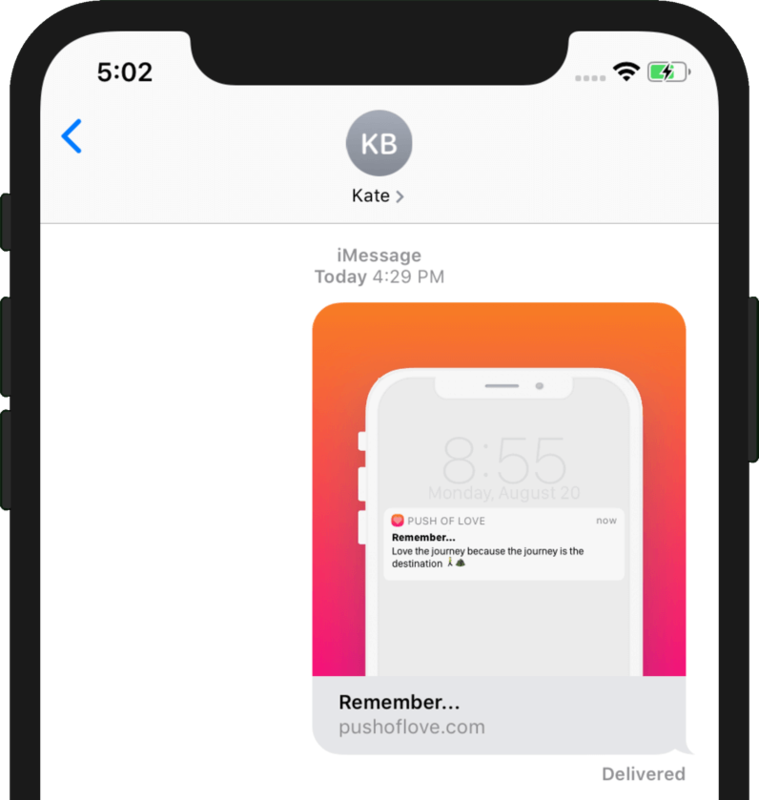 Note: This post assumes some basic knowledge of Open Graph images, if you need some context take a look at my previous post, Implementing iMessage Link Previews. Push of Love is a web/iOS/Android app that sends daily push notifications with motivational messages. Push of Love’s website has individual pages for each piece of content that it sends. We’re going to focus on enhancing the experience of sharing one of those pages. Goal: fully automate Open Graph image generation based on the content of the page. When someone shares a link from Push of Love we want a rich experience that both demonstrates what Push of Love is and sufficiently represents the content of page that is being shared. Our current system is made up of a React Native app for both iOS and Android and a Nuxt.js/Vue.js web app that serves pushoflove.com. 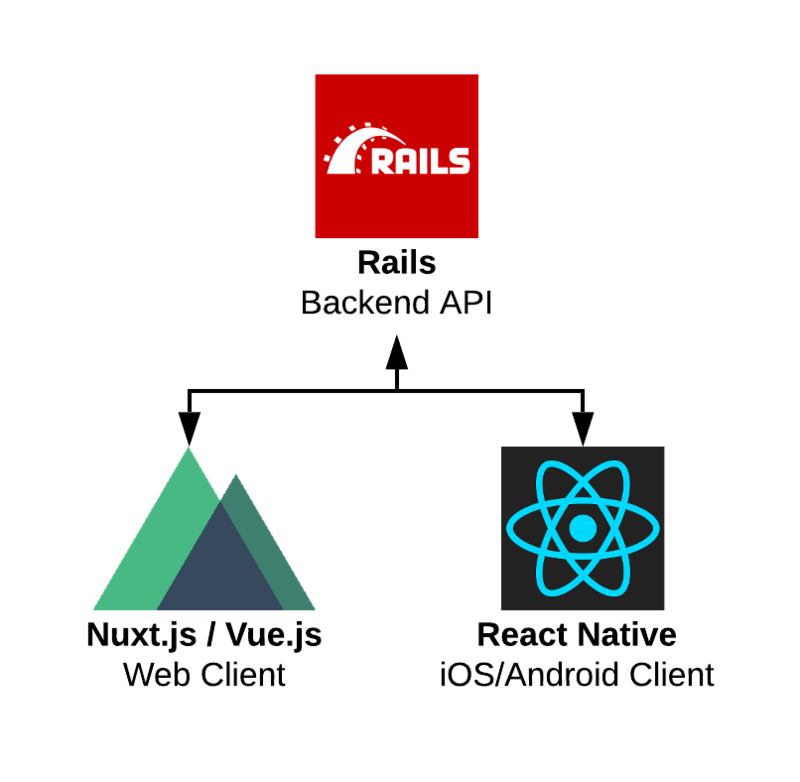 Each of the clients make requests to a Ruby on Rails API with a PostgreSQL data store both of which are hosted on Heroku. We also use Cloudflare as a reverse proxy for both the Backend API and the Web Client and have it configured to cache all of our content on the edge. My co-founder and I write the content for the Notifications a few days before they are sent (🤔 well, in an ideal world it’s a few days in advance… in the real world we’re definitely not that responsible 😬). We have a script that is scheduled to run multiple times a day (right now it’s scheduled to run twice) that finds an unsent Notification, sends a push notification with the notification’s content, and finally updates the notification’s sent_at attribute with the current time. Before we dive into implementation, let’s first consider what we want out of our solution and define the criteria that we will use to evaluate each of our options. To help make an objective decision when selecting the best solution, I like to take each of the options we came up with and score them on the criteria we generated previously. We scored each of the options between 1 and 3 with 3 being really good and 1 being really bad.